We came up with this idea while were having dinner in the Italy Pavilion at Epcot. We were brainstorming about recipes (doesn't everybody do that? ), and Chicken Legs asked if we could make Italian fajitas. 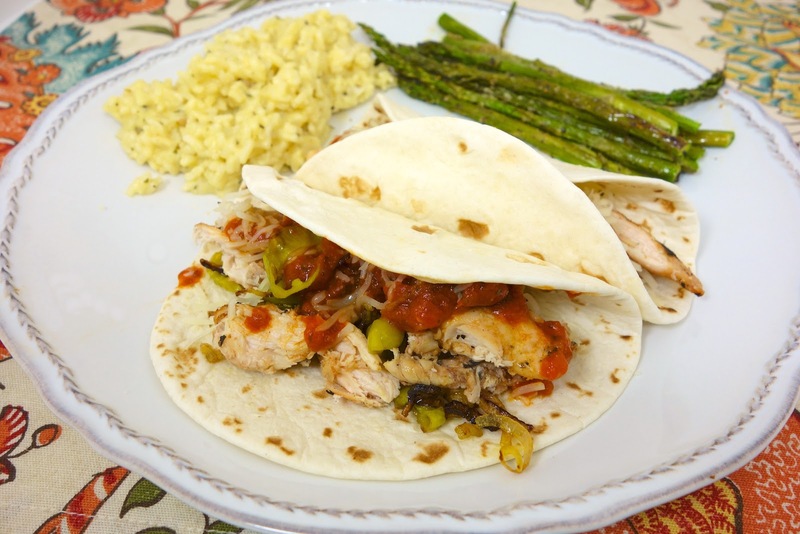 We thought about it and decided that we could change up our favorite fajita recipe and give it an Italian flare. The fajitas turned out GREAT! I used a can of diced tomatoes with garlic, onion and oregano in place of the Rotel. I seasoned the marinade with garlic, balsamic and Italian seasoning. If you want to go all out, use an Italian beer. We used a Peroni, but any beer will work. I sautéed up some shallots and peperoncini peppers to go with the chicken. We both really enjoyed this twist on traditional fajitas. Combine the diced tomatoes, beer, oil, balsamic vinegar, garlic, Italian seasoning and black pepper. Place chicken in large ziplock bag, pour marinade over chicken. Refrigerate at least 6 hours, overnight if possible. Remove chicken from marinade. Grill chicken until no longer pink. Allow to rest 5 minutes and then slice into thin strips. While the chicken is cooking, sauté shallots and peperoncini peppers in some oil until they are tender-crisp, about 10 minutes. Warm tortillas according to package directions. 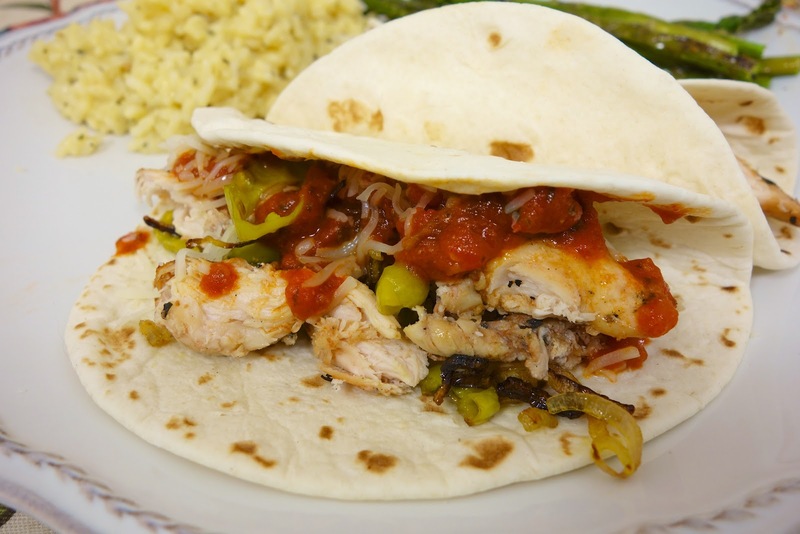 For each fajita, layer meat, shallots and peppers, cheese, marinara sauce in the center of the tortilla.